Mall Security is Steve Lutes of Portland, Oregon, by way of South Bend, Indiana. Steve's style of complex digital programming over synth melodies ranges from downtempo to electro to acid. His sounds are continually fascinating and ever-evolving. Also recording under the name Kontyx and forming one half of The Red Falcon Projects and High Tides with Dorosoto, he is continually working on one project or another. His first formal offering came in his debut full-length, "Things I Thought Of And Made.". He followed in 2009 with the debut installment of I, Absentee's "The Twilight Fires" 3" series, featuring remixes from Mrs Jynx, Koen Park (Ian Hawgood) and Phasen. 2009 was capped off with the release of his sophomore album, "Simple Circuits," as well as the "Byte Marks" collaboration EP with Power Pill Fist. In 2010, he joined Dorosoto and 21 Jumpsuit for Biocore 3, a one-off collaboration EP. Lutes then turned his attention to The Red Falcon Projects, where they released their LP, "Simply Ravishing," in 2013 on Dilated time. 2014 saw the debut Kontyx EP released via Body Control Records, called "Various Program Errors." 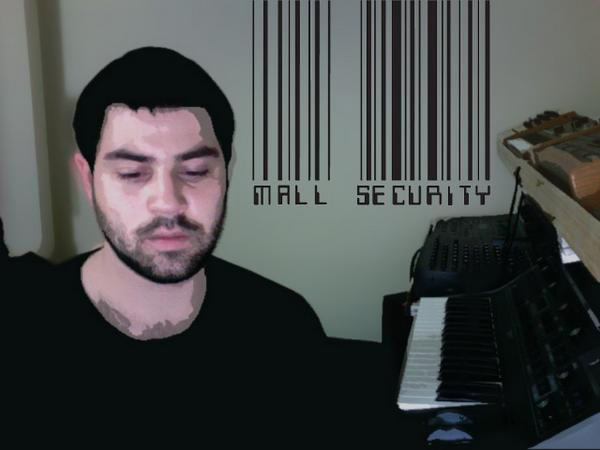 He followed with a new Mall Security EP, "Completely Unmarketable," for Virtual Urban Records. 2015 saw the release of High Tides, on Tobacco's Rad Cult label. He is currently at work on a new album for I, Absentee.